KOCHAN is a photographic project that Calò began in 2016. 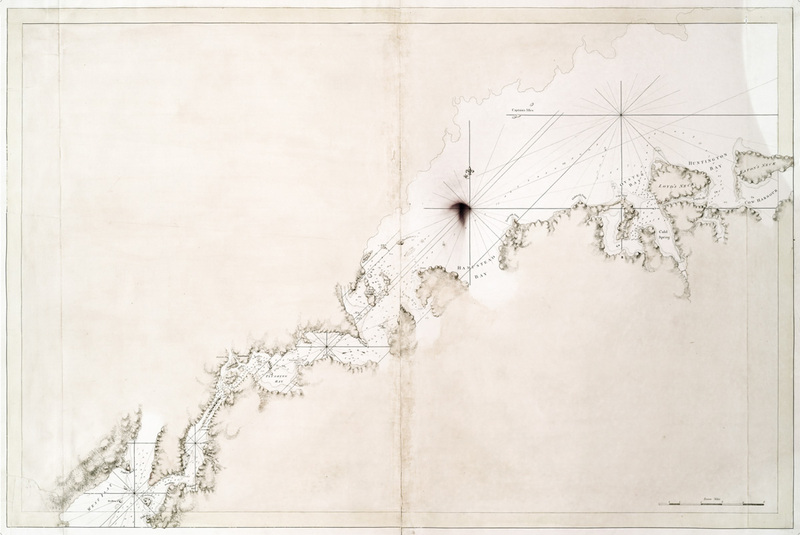 Inspired by her discovery of the New York Public Library’s extensive online archival documents, she would spend entire days surrounded by geographical maps, manuscripts and letters. 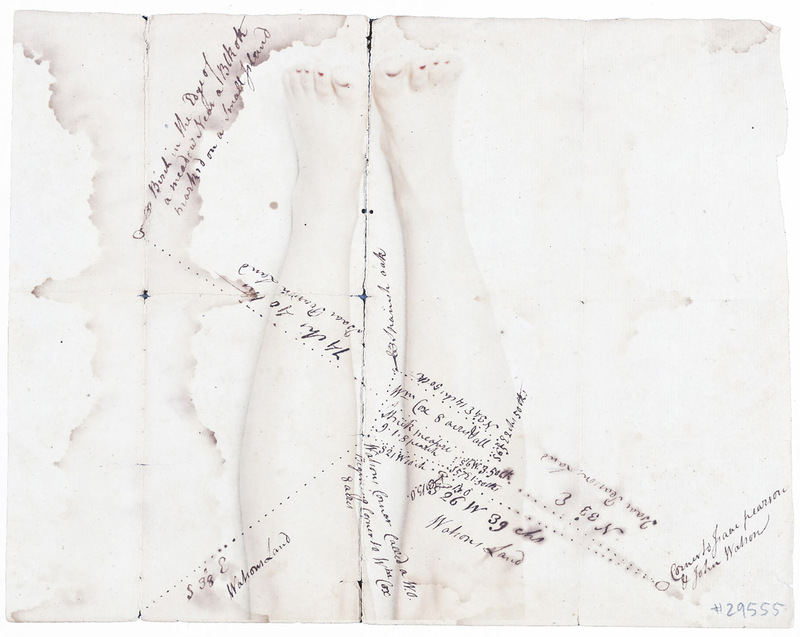 But, it was the maps that she was most attracted to – their signs and traces inspired her to translate them into a series of self-portraits. The word “Kochan”, is the name of the protagonist of Confessions of a Mask by Yukio Mishima, 1949. Mishima’s work is a sort of travel diary, which accompanies the reader as they discover fragments of the protagonist’s life and identity. 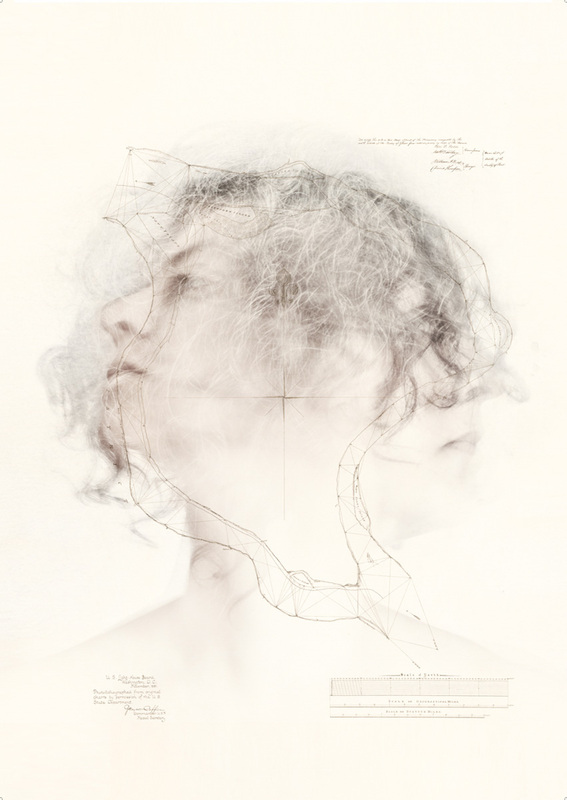 In this very elegant and intense personal “journey”- where maps and archival materials overlap with areas of the body and vice versa – Calò relentlessly records our universal states of mind; the fantasies, turmoils, pains and joys that follow each of us in our trial and error efforts as we search for ourselves. She does so with a such a sincere and meticulous commitment, seeking to provoke those who look at her images, to push into their most hidden and private places. Starting from reflections on the concept of identity, in this project, just like Kochan, Calò tries to imagine the journey that each person makes to discover and affirm themselves, considering the body as a territory to explore. Her refinement and visual delicacy are very similar to the way in which Mishima, with words of absolute beauty, wrote of love and desire, of the body and the soul, indicating the deeply painful struggle with oneself in the search for one’s own identity. In all her projects Calò works mostly with archival images, documents, found photos and literary texts – the recovery and re-use of materials are always the starting point of her research and artistic production. The construction of her stories is often the result of an overlapping of images that, combined, give life to a new image to be discovered. The work she accomplishes with archival material, allows her to create new universes and tell new stories each time, as well as being a real journey into the photographic image. Fine art prints on Hahnemühle Phot Rag Bright paper, frame.